Canarian Americans are Americans with ancestry that can be traced back to settlers from the Canary Islands of Spain who have emigrated since the 16th century to the present-day United States. Most of them are descendants of settlers who emigrated to Spanish colonies in the Americas during the 18th century. The Canarians were among the first settlers of the modern United States: in 1569 a group of Canarian farmers embarked for Florida, and were followed by others coming to La Florida. Canarian Americans today consist of several communities, formed by thousands of people. Those in San Antonio and in Louisiana are mostly of Canarian settler descent. Their ancestors arrived in what is now the United States in the 18th century, while the Canarian community in Miami is made up of recent emigrants and their children. These communities are culturally distinct within the American population, having preserved much of the culture of their ancestors to present times. Most Canarian Americans now speak only English, although some Canarian communities that speak different dialects of the Spanish language are still extant in Louisiana. These include the Isleños of Saint Bernard Parish who have managed to preserve their culture as well as their dialect of Canarian Spanish, although none of the younger generation speak more than a few words; the Brulis, who live in scattered households in southern Louisiana and speak a dialect with French loan words; and the Adaeseños in the Natchatoches and Sabine parishes who speak a very similar dialect with loan words from the Nahuatl language of Mexico. The success of Canarian Americans of settler origin in preserving their culture has led some historians and anthropologists, such as Jose Manuel Balbuena Castellano, to consider the Isleño American community a national heritage of both the United States and the Canary Islands. Canarian emigration to North America started in the 16th century, when Spain had several colonies stretching around the Gulf of Mexico. The first Canarians arrived in the region as early as 1539, when the Spanish explorer Hernando de Soto recruited Canary Islanders to join his expeditions to explore the wilderness of La Florida. The Canarian scholar Javier González Antón says some Canary Islanders went to Florida with Pedro Menéndez, who founded St. Augustine, the first permanent European settlement in what is now the United States, in 1565. The other Spanish colonies in the large area (from present-day Virginia to Texas) then called La Florida remained lightly populated due to the scant attention paid them by the Spanish government after it realized that these colonies lacked gold and silver mines and other sources of wealth. During the late 17th and much of the 18th century (1684–1764), the so-called Tributo de Sangre (Blood Tribute) was in effect; this was a Spanish law stipulating that for every thousand tons of cargo shipped from Spanish America to Spain, 50 Canarian families would be sent to America to populate regions having low populations of Peninsulares, or Spanish-born Spaniards. The Spanish crown sent several groups of Canarian settlers to its North American colonies, but the number of Canarian families emigrating to America usually exceeded the number of families called for by the regulations. Between 1731 and 1783, many Canarian families emigrated to the southern colonies, establishing their own communities there. In 1731, 16 Canarian families were sent to San Antonio, Texas, most of them coming directly from the Canary Islands (some came from Havana). After arriving at Veracruz, they were forced to cross overland on foot to Texas, led by the Canarian Juan Leal Goraz, who eventually would become the first mayor of San Antonio. This community had confrontations with the resident Catholic monks of the area over property rights and the diversion of water from the rivers. Between 1718 and 1734, Florida was governed by Lt. General Antonio de Benavides, a native of Tenerife in the Canary Islands, while Carlos Benites Franquis de Lugo and Simón de Herrera, both natives of Tenerife, governed Texas in 1736–1737 and in 1811 respectively. In 1740, La Real Compañía de Comercio de La Habana (The Royal Society of Commerce of Havana), a monopolistic corporation formed to encourage commercial traffic between Cuba and Florida, was required by Spanish statutes to provide two vessels bringing 50 Canarian families annually to Florida. Between 1757 and 1759, 121 Canarian families were sent to Florida, (although most of the settlers emigrated to Cuba when the province was ceded to Great Britain after the Seven Years' War), followed by another 863 Canarian families in the years after the loss of the province, according to authors Carlos Canales Torres and Fernando Martinez Láinez. Florida was returned to Spain in 1783. When Florida was ceded to the United States in 1819, however, most of the new settlers also emigrated to Cuba, as happened in 1763, when Florida was ceded to Great Britain. After the elimination of the Tributo de Sangre law, between 1778 and 1783 over 4,000 Canarians were sent to Louisiana, although half of them remained in Venezuela and Cuba where their ships had stopped over during the passage; some 2,100 Canarians settled in those places. In Louisiana, the settlers eventually consolidated into three communities: St. Bernard Parish, Valenzuela (where the Canarians intermarried with Cajuns and their descendants speak French), and Barataria (abandoned shortly after a hurricane struck, its settlers relocated elsewhere in Louisiana and Florida). In 1779, other Canarians were established in Galveston, Texas along with Mexican soldiers in the garrison, but after prolonged droughts interrupted by sudden floods, were resettled near Baton Rouge in 1800, where they founded Galveztown. Other places in the southern United States had Canarian settlers during the Spanish period. A few communities were founded by Canary Island colonists in Southern California and there are records of Canary Islanders colonists and their descendants living in New Mexico in the 19th century. Since they arrived in America in the 16th century, Isleños have played their part in some historic events: they participated in the American Revolutionary War (in 1782 – 83), fought in the War of 1812 (in 1814), defended the Alamo (in 1836), and after the incorporation of Louisiana and Texas into the United States, they fought in the American Civil War (1861–1865), both World Wars and the Vietnam War. Remarkably, in the 1950s, local government forced all students of the Saint Bernard Parish school system in Louisiana to speak only English, while Hispanics in the parish were not even allowed to speak Spanish in public; eventually there were no Spanish language-speakers left in the local Isleño community. Beginning early in the 20th century, a different sort of Canarian emigration to America has taken place, primarily to Florida, of migrants not officially sanctioned or subsidized, but coming by their own means. Many Canarians live in the United States temporarily as migrant workers. Several Canarian American communities remain in the southern United States: there are Isleño communities in Saint Bernard Parish, Brulis in scattered households in southern Louisiana, and the Adaeseños in the Natchatoches and Sabine parishes, as well as a Canarian community in San Antonio, Texas. The city of Miami, Florida has a Canarian community of recent immigrants. There are also Canarians living in Boston, Massachusetts, New York, New Jersey, Washington D.C., and California. 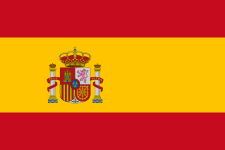 Currently, according to data of the Padrón de Españoles Residentes en el Extranjero (PERE; Register of Spaniards Resident Abroad), released on March 20, 2014 by the National Statistics Institute (INE), in 2013, there were 5,127 Canarians living in the United States. The majority of them descended from Canarian settlers who arrived in Louisiana between 1778 and 1783. According to Samuel G. Armistead, there are four small areas of the state where the Spanish language has been spoken since the 18th century, now in three different dialects. The main Isleño community in Louisiana is in St. Bernard Parish. Although most of its members, especially the younger people, speak only English, some of the older Isleños still speak a rustic and antiquated Canarian Spanish and maintain traditions like roasting pig and hunting small birds. The other communities of Canarian descent include the Brulis, who live in scattered households in southern Louisiana; they speak a Spanish dialect with French infusions, while the Adaeseños in Natchitoches and Sabine parishes speak a very similar dialect, with loan words from the Nahuatl language of Mexico. Recorded interviews have been conducted in these communities with the elderly residents, who still speak their dialect of the Spanish language on video and DVD. They are kept in the Museo Canario (Canarian Museum) in Saint Bernard to prevent the language and culture from being lost. On February 14, 1719, the governor of Texas, José de Azlor, made a proposal to King Philip V of Spain that 400 families be transported from the Canary Islands, Galicia, and Havana to populate the province of Texas. His plan was approved, and notice was given the Canary Islanders (Isleños) to provide 200 families for the venture; the Council of the Indies suggested that 400 families should be sent from the Canaries to Texas by way of Havana and Veracruz. Before the arrival of the Canarian settlers in 1730, the San Pedro channel was built for the exclusive use of the Canary Island colonists. It was called the acequia madre, the "mother ditch" that crossed the city. 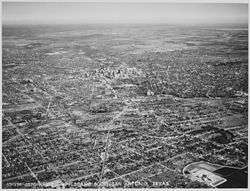 Its waters irrigated agricultural fields around San Antonio from that time until 1906. The last channel to supply water to the citizens was dug in 1777 for the new settlers of Los Adaes, and its remains can still be seen. American historical research indicates that Canarian irrigation practices in the San Antonio colonial period can only be understood in the context of traditional irrigation practices developed over thousands of years by the settlers' ancestors in the Canary Islands. By June 1730, twenty-five families had reached Cuba and ten families had been sent on to Veracruz before orders from Spain arrived to stop the movement. Most of these Canarians were from Lanzarote, Tenerife and Gran Canaria. Under the leadership of Juan Leal Goraz, the group marched overland to the Presidio San Antonio de Bexar. Presidio San Antonio de Bexar, San Antonio (Texas). Misión de San Antonio de Valero, San Antonio (Texas). The Alamo Mission was founded to serve the spiritual needs of the Canarian settlers. Juan de Acuña, Viceroy of New Spain, bestowed titles of nobility on each Canary Island family. After arriving in San Antonio, the Isleños had problems with the Texas government and the local bourgeoisie. The Franciscan friars were opposed to their founding a town so near their area of influence. The Canarians competed with them in raising crops and livestock, and their success threatened the order's own production, which had increased dramatically with the labor of Native American converts to Catholicism. The missionaries demanded that the settlers be distributed evenly among all the missions in the territory. Juan Leal, mayor of the city, refused the friars' request and decided in favor of the Canarians. The Isleños had no access to water from the San Antonio River for irrigating the land they farmed, as it was reserved for use by the missions. The stream of San Pedro had been used by the Canarians of San Antonio since their arrival, but in 1732 the Cabildo wrote to the Viceroy stating that the volume of water was not enough to irrigate their fields and their crops were dying. In response, the Viceroy suggested in his order that the waters of San Antonio be divided proportionately between the missions and the settlers. An official inspection found that the water flow was plentiful enough to supply the missions and the villa. The tension between the missions and the settlers continued for some time, and later focused on land grant issues as well as irrigation. Fourteen years after the founding of San Antonio, the non-Isleño settlers complained that the stranglehold the Canarians had on local politics was tightening to the point of depriving them of water for their homes. In 1736, the first canal was dug to distribute the waters of the San Antonio River for irrigation. Antonio Rodríguez Medero and Governor Carlos Benites Franquis de Lugo had a part in passing legislation enabling development of an irrigation system for the settlers. The Isleños irrigated their farms using the age-old techniques of their homeland. San Antonio grew to become the largest Spanish settlement in Texas, and for most of its history it was the capital of the Spanish and later the Mexican province of Tejas. From San Antonio, the Camino Real (today Nacogdoches Road) in San Antonio ran to the Mexico–United States border near the small frontier town of Nacogdoches. In the Battle of the Alamo fought from February 23 to March 6, 1836, the outnumbered Texan forces were ultimately defeated, and all of the Alamo's defenders were killed. There were Canary Islanders and Canarian descendants among these men, who were seen as martyrs for the cause of Texas freedom. "Remember the Alamo" became a rallying cry for the Texans' struggles to defeat Santa Anna's army. There were a few descendants of Canary Islanders in San Antonio who joined the Mexican army to oppose Texas' independence from Mexico, such as the soldier and landowner Juan Moya. Other Isleños supported the annexation of Texas to the United States, and the territory decided to join the union in 1845. The last persons in the San Antonio Isleño community to speak Spanish as their daily language died in the 1950s, though the culture is being kept alive. In 1539, Hernando de Soto, funded in part by the Count of La Gomera, recruited sailors in the Canary Islands to man expeditions for the exploration of Spanish Florida. In 1565, the newly appointed Adelantado of Florida, Pedro Menendez de Aviles, organized two separate armadas, totaling more than twenty ships, which sailed from Asturias and Cádiz to the Canary Islands before continuing on to attack the French at Fort Caroline. According to Venezuelan writer Manuel María Marrero, in 1569 a group of 70 Canarian farmer families embarked from the port of Santa Cruz de Tenerife in the boats Nuestra Señora de la Soledad and Santiago with this destination. Nevertheless, colonial Florida remained sparsely populated, with most of the population living at the port of Saint Augustine, which was protected by a military fortress. Lieutenant General Antonio de Benavides, a native of Tenerife, was appointed governor of La Florida in 1718 and governed there until 1734. On several occasions he repelled the English who were trying to conquer Florida by land and sea, and suppressed pirate raids. He also managed to secure a peace treaty with the neighboring Native American tribal groups who had been inimical to the Spanish colony, and maintained friendly relations with them as long as he was governing the colony. Benavides defended the rights of the indigenous peoples, allowing no distinction between classes or persons, and consequently was respected by Native Americans and Spaniards in the presidio alike. Benavides was one of three Canarian governors of a province now in the United States (the others were Carlos Benites Franquis de Lugo and Simón de Herrera, both in Texas). Between 1757 and 1759, 121 families were sent to Florida (42 in 1757, 43 families several months after, and another 36 the following year). In 1763, after its defeat by Great Britain in the Seven Years' War, Spain was forced to cede Florida, causing most of its Spanish inhabitants to emigrate to Cuba, although a small Canarian community would be permanently established in the region, where they were considered innovators in agriculture. According to the Spanish journalists Fernando Martínez Laínez and Carlos Canales Torrres (who examined the Spanish history of the United States in his book Banderas lejanas: La exploración, conquista y defensa por España del territorio de los actuales Estados Unidos), after the cession of Florida to Great Britain, many more Canarian families emigrated to Florida. In the 47 years of Canarian emigration to Florida, of the 2,350 who wanted the Spanish Crown retained there, only 984 families migrated, most of them heading to Venezuela and the Spanish Antilles. In 1783, Spain recovered Florida and some of the Canarian settlers from Saint Bernard also emigrated to West Florida. During those years, Vicente Sebastián Pintado, the Canarian cartographer, engineer, soldier and Surveyor General of West Florida, who drew the "Pintado plan", a street map of Pensacola drawn in 1812, which included the position and size of the solares on which to build the church and other public buildings. He left a huge corpus of work consisting of maps and plans of streets, letters and documents vital to the complicated sale of land in Florida and Louisiana. In 1974 the Library of Congress in Washington, DC obtained the donation of the Pintado Collection work, a collection of about 1,500 documents stored in the Division of Manuscripts. Florida was ceded to the United States in 1819, again causing the emigration of almost the entire Spanish population to Cuba, although once again, a few Spaniards remained in Florida. There is a recent immigrant community of Canarian people and their descendants living in Miami, within the greater Hispanic community. Many of these Canarians live there only temporarily for employment. The vice president of the council of Tenerife, José Manuel Bermúdez, estimated that more than 200,000 people from the Canary Islands live in Florida. Currently, Florida has a Canarian association, the Hogar canario de Florida (Canarian Home of Florida), located in Coral Way, Miami. Some communities in Southern California were also founded by Canary Islanders. Numbers of Canary Island colonists and their descendants were recorded in New Mexico during the Spanish era of that state. The Canarian dialect is gradually disappearing in Texas and Louisiana. By 1984, researchers of Isleño communities in the southern United States had recorded 82 hours of native speakers sharing information about them: (57 hours by Isleños, 10 hours by Brulis, 10 hours by speakers in Texas and 5 hours by Adaeseños from Los Adaes). In the case of the Brulis, Adaeseños and speakers in Texas, the material is mostly linguistic. On the other hand, interviews with the Isleños bear witness to a rich diversity of language samples, folk and popular literature. These communities have a wide variety of songs, nursery rhymes, riddles, proverbs, folk tales, folk medicine, prayer healing, witchcraft traditions and many Isleño names for birds, fish, reptiles, insects and trees. Juanita Castro - Cuban activist and sister of former Cuban President Fidel Castro and current President Raúl Castro. Camille Guaty - American actress of Cuban and Puerto Rican parents of Canarian descent. Génesis Rodríguez - American actress and daughter of Venezuelan singer of Canarian descent Jose Luis Rodriguez, el "Puma"
↑ Although the Canarians promoted agriculture in the province of Florida, most Canarian settlers there emigrated to Cuba when the province was ceded to Great Britain in 1763. Some of them returned when Florida was recovered by Spain in 1783, and a new Canarian immigration began when it was ceded to the United States in 1819. ↑ "Table 1. First, Second, and Total Responses to the Ancestry Question by Detailed Ancestry Code: 2000". U.S. Census Bureau. Retrieved 2013-06-19. ↑ Javier González Antón (2007). "El documento americanista y Canarias" (PDF). Anuario Americanista Europeo. Tenerife, Canary Islands (4-5): 153. ISSN 2221-3872. Por Canarias pasarían en 1565, 1569, 1572 y 1576 las expediciones de, Menéndez de Avilés, Fernández Serpa, Ortiz de Zárate y Maraver de Silva con destino a San Agustín de la Florida, Cumaná, Río de la Plata y Guayana. El adelantado de la Florida, Menéndez de Avilés, para fundar San Agustín. ↑ Manuel Hernández González (1 January 2005). La Emigración Canaria a América. Centro de la Cultura Popular Canaria. p. 24. ISBN 978-84-7926-488-8. 1 2 3 4 Balbuena Castellano, José Manuel. "La odisea de los canarios en Texas y Luisiana" (The Odyssey of the Canarians in Texas and Louisiana). Page 46; (ed) 2007,editorial: Anroart Ediciones. ↑ Robert Bruce Blake (June 12, 2010). "Carlos Benites Franquis de Lugo". Handbook of Texas Online. Texas State Historical Association. Archived from the original on July 10, 2011. Retrieved 18 January 2016. ↑ Harris Gaylord Warren; Jack D. L. Homes (June 15, 2010). "Simón de Herrera". Handbook of Texas Online. Texas State Historical Association. Archived from the original on December 21, 2010. Retrieved 18 January 2016. ↑ Alfredo Alvar Ezquerra (2006). Exchange rate economics: where do we stand?. Ediciones AKAL. p. 193. ISBN 978-84-7090-472-1. ↑ Universidad de la Habana. Centro de Informacion Cientifica y Tecnica, Universidad de la Habana. 2003. p. 97. 1 2 3 Fernando Martínez Láinez; Carlos Canales (25 March 2009). Banderas Lejanas: La exploración, conquista, y defensa por España del territorio de los actuales Estados Unidos. EDAF. p. 250. ISBN 978-84-414-2119-6. 1 2 3 "La presencia canaria en la conquista americana" [The Canary Island presence in the American conquest]. Gran Canary Island Virtual Encyclopedia (in Spanish). Retrieved January 22, 2016. 1 2 3 4 5 6 7 Alfredo Herrera Piqué (May 20, 2006). "Presencia canaria en el sur de Estados Unidos." [The Canarian Presence in the Southern United States] (online). Bienmesabe eJournal. Las Palmas: Arucas, Las Palmas Asociación Cultural Bienmesabe (606). ISSN 1885-6039. Retrieved 25 December 2015. ↑ La opinión.es: La cifra de isleños que emigraron al extranjero creció un 7,5% en 2013. 1 2 3 Samuel G. Armistead (1992). The Spanish Tradition in Louisiana. Juan de la Cuesta. pp. 2–3. ISBN 978-0-936388-51-9. 1 2 "Numbered heads of Canary Islands families (taken from the Quantitlan List, November 8th, 1731, Mexico". Roots web. Archived from the original on May 16, 2006. ↑ "Title of nobility given to the male Canary Islanders of San Antonio, Texas, and their descendants in perpetuum - November 28, l730". Poblar.com. Retrieved January 17, 2016. ↑ Charles Tatum (26 November 2013). Encyclopedia of Latino Culture: From Calaveras to Quinceañeras. ABC-CLIO. p. 102. ISBN 978-1-4408-0099-3. ↑ ""Canary Islanders", Handbook of Texas Online". Texas State Historical Association. June 12, 2010. Retrieved January 17, 2016. ↑ John T. McGrath (2000). The French in Early Florida: In the Eye of the Hurricane. University Press of Florida. pp. 10–11. ISBN 978-0-8130-1784-6. ↑ Rafael Torres Campos (27 November 2002). Carácter de la conquista y colonización de las Islas Canarias. Editorial MAXTOR. p. 80. ISBN 978-84-9761-033-9. ↑ El héroe que salvó de la muerte al primer Borbón Spanish: (The Hero Who Saved the First Bourbon From Death), Jesus Villanueva interview. La Gaceta. Alejandra Ruiz-Hermosilla, 20 November 2014. ↑ "United States (Florida-Georgia): The Luso-Hispanic World in Maps". Library of Congress. July 27, 2011. Retrieved January 17, 2016. ↑ El Mundo: Miami, la octava isla canaria (in English: Miami, the Eighth Canary Island). ↑ Gobierno de Canarias: Listado de entidades canarias en el exterior (in Spanish: List of Canarian entities abroad). ↑ St. Bernard Isleños. Museo de los Isleños. Official Los Isleños Heritage and Cultural Society 1345 Bayou Road, St. Bernard Parish, Louisiana 70785. "Exhibition Traces Canary Islanders' Long-Ago Journey to Louisiana", EFE, June 9, 2016. About CISLANDERUS' photographic exhibition in Gran Canaria, Canary Islands, from June 9 to August 28, 2016, at Columbus Museum (Casa de Colón).